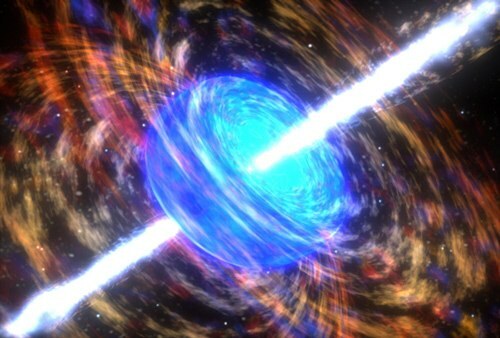 Could brief flashes of gamma explosions billions of light years away be the very seems of our cohesive universe? According to theories of high-energy particle physics, the strings would have been created when matter in the very early universe went through what’s called phase changes, such as when liquid water freezes to become solid ice. Cosmic strings, the theories state, are imperfections in space-time akin to the cracks that form as water freezes. Although there is no observational evidence for cosmic strings, most theories predict that the strings should stretch through the universe to its horizon. “You can picture a cosmic string as an extremely long conducting wire with the same length-scale of the universe,” Cheng said. Most gamma explosions come from collapsing stars, but those last more much longer. These fireballs are different, shorter. Could they be the subtle imperfections in our universe? 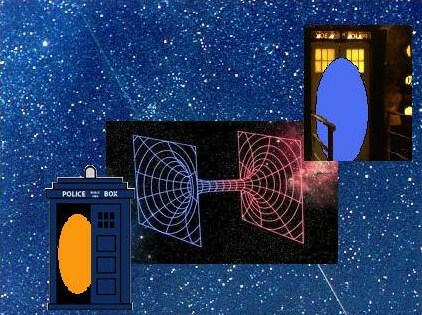 You are currently browsing the archives for the Space-Time category.